“Nothing seems to be working,” shared a friend who was describing her job search. She’d been fully committed to work in the home for close to two years. Her decision to leave her last employer was a personal one. She’d had some life issues come up. An aging parent. Personal health issues. “I never thought it would be this hard,” she commented. She was talking about the difficulty to get back into her profession after an absence. She seemed incredibly sad. Unsure. Could this really be happening? Listening to this friend I wondered if my pivot to a portfolio career is a cop-out? Is my transition crusade simply a shield created to protect me from the choppy waters that my friend is encountering? Let me explain. Today – almost four years into a transition – I find myself juggling three part-time gigs, aka my portfolio career. Together their salaries represent a small fraction of my former compensation. On top of these sit a long list of community volunteering commitments in addition to the growing demands of two active elementary school-aged children. Have I created this groundswell of activity to simply mute my awareness of the sheer impossibility of re-entering the world I exited? I remember being frustrated reading Bridges’ book. He never really defined transition. Lately I’ve tried my hand at it. Transition is a process which requires us to re-imagine our assumptions about identity, capacity or values. Any one or all three can be involved. The reality is that each of us has a decision to make when faced with the need to change: do we change or do we transition? 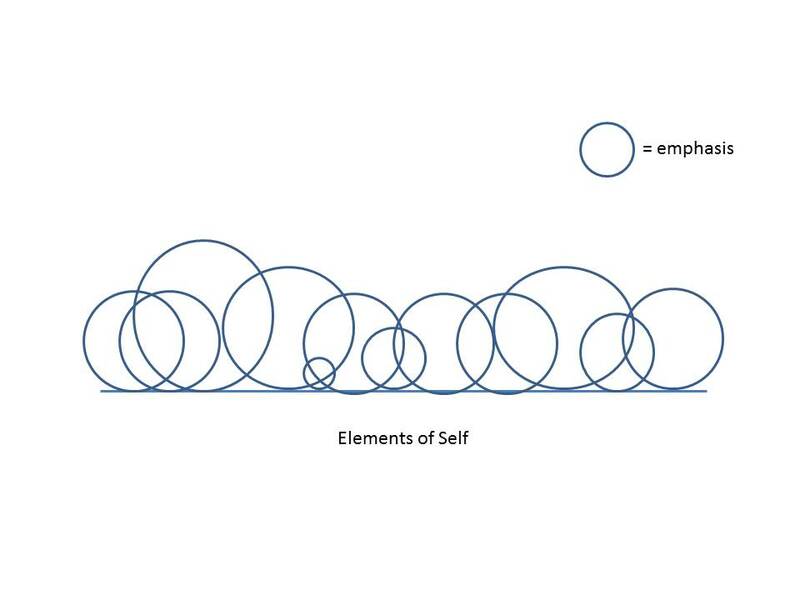 I’ve found that exploring the elements of transition, like identity, is about acknowledging the entirety of who we are instead of adopting a whole new persona. That said once the adoption occurs we may no longer resemble our former selves. Confusing? Let me try an example. “Who am I if I’m not me?” shared a woman as she described her thinking at the outset of her transition. She’d served as a divisional president at large consumer products company. Accomplished. Highly committed. Hard charging. Transition surprised her. She described ‘breathing’ for the first time. She used words like freedom. In transition her pursuits became less about someone else’s standards and more about her own. Transition connected her to new communities in which she was readily able to contribute – something that surprised her at first. As I listened to this interviewee and my friend I kept playing an image in my head (see above). Could it be that transition asks us to acknowledge that we are comprised of many elements – some we emphasize, others we barely acknowledge. If so transition could allow us to dignify those elements that we’ve previously overlooked or combine elements that we’ve isolated or compartmentalized. This interviewee went on and on about the emotional connection she’d been able to make with others in her work post-transition. Any guess? She derived great joy out of this yet is hadn’t been present in her previous roles. I can’t help but wonder if my friend who is interviewing needs to listen to a more holistic view of herself. Maybe combining a few elements – even some previously ignored – could jump-start her thinking about what more could be possible. I’m not sure I’ve settled on a new identity but I’ve adopted the humility and courage to keep exploring. The cop-out in isn’t so much in using transition as a shield but in ignoring our instincts that tell us one may be required. Are you ready to listen, or even better, to begin? 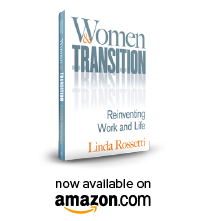 This entry was posted in Observations on Transition and tagged career transition, transition, Transitions Making Sense of LIfe's Changes, women's transition. Bookmark the permalink. Linda, thank you for this read. I struggle choosing between transition and being “in between.” Transition takes a lot of courage, and for me it also requires a lot of clarity. Not easy! Melissa, Thanks for your thoughts. I wonder if there is a lower risk reasonably-sized experiment that you could try which would validate some of your thinking? It would be forward progress but not entirely full scale commitment…..